I had a birthday party at a barcade and I beat the 6 person X-Men game, which I never got to do as a child because it is a frivolous, stupid activity and my father, being a reasonable man, would not give us enough quarters to accomplish the feat. Anyway I still enjoyed it. 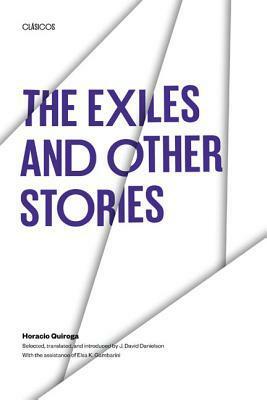 The Exiles and Other Stories by Horacio Quiroga – I really like this guy, I can see how he became (as I gather) a pivotal figure in South American literature. Like Kipling without all the uncomfortable imperialism, with an earthy, authentic understanding of the Argentinian/Brazilian frontier, and the desperate men who inhabit it, or who inhabited it some century back. There are some pulpy thriller type stuff here, almost Robert E Howard like (except that Robert E Howard never went anywhere or did anything) but there’s also some reasonable social critique, and a lot of nightmarish stories about the sort of men who go vagabonding and get lost in out of the way places and drink themselves to death or find some other means of suicide. There’s nothing explicitly impossible in most of these, but you can see how his hyper-realism (I don’t think I ever read a writer who had so many stories which end with the narrator dead) was an influence on later generations of magical realists. 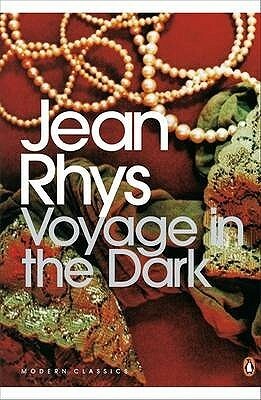 Voyage in the Dark by Jean Rhys – The story of a young woman who leaves the West Indies to come to England to become an actress, only to end up a miserable, impoverished semi-prostitute. Rhys has great natural talent as a writer, and her experience (which broadly mimics that of the narrator, not that I’d comment specifically on her romantic engagements) is used to grim if fascinating effect. That said, I kinda did feel like we were basically going over the same territory here as I did in the other books I’ve read by her—the protagonists are despairing and listless, and a lot of the themes remained similar, if expressed to a slightly less impressive narrative standard. Then again, I might have liked this more if I started here. Still, speaking generally she’s a very impressive writer and this is good stuff. 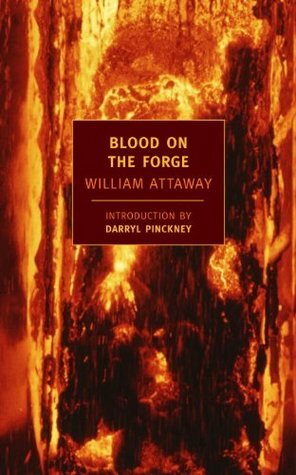 Blood on the Forge by William Attaway -- The story of the Moss Brothers, who come north from Kentucky to work in a hellish steel mill in the Alleghany, is a rare wonder which deserves to be rediscovered. Attaway came from a well-to-do family and his life seems to have very little resembled that of his protagonists but reading this book you’d swear he had toiled away in a foundry. There is an honest rawness here, not only in his intimate-seeming knowledge of the conditions of his character’s lives, but in the sort of even-handedness which few writers can offer about a foreign milieu. The prose is potent, biblical almost, with Attaway working (successfully) to imbue the story with enormous, mythical force. Very, very strong rec. 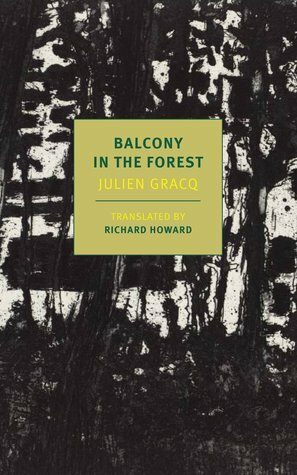 Balcony in the Forest by Julien Gracq – A dreamy, lyrical work about a soldier’s pastoral idyll along the Belgian border during the fall and winter of the Phony War, operating rather unsubtly as metaphor for the French nation. My tolerance for descriptions of bucolic settings tends to be pretty low, even if those descriptions are very good, so I probably liked this one a little less than it deserved. On the other hand, it’s pretty rare to read a book about war which takes a new slant on the thing, which this definitely does. Worth your time, even if it wasn’t one of my absolute favorites. Our Spoons Came From Woolworths by Barbara Comyns – Between this and Jean Rhys, it was a big week for of underprivileged female Londonites suffering from patriarchal abuse. Which, fair play, is Comyns jam, though she shakes things up a bit here by withholding her usual flavor of gothic horror in favor of a dash of comedy in the narrator-is-innocent-to-the-point-of-being-absurd type. I liked it a little bit less than her nightmarish stuff, or maybe 3 of hers in two weeks was a bit too much for me. The Life of Elves by Muriel Barbery – I intensely disliked this book. The plot is paint-by-numbers high fantasy, without even the usual narrative tricks offered by competent genre writers. The prose is frankly just awful, a goopy mess, lots of tumbling sentences but if you break off any fragment and look at it up close it’s nothing. The character’s do not exist beyond their names, and its veneration of bucolic Europe seemed stale when Tolkien did it. Sunset Boulevard – An aging film star in a decaying mansion, gone mad from memory of her lost fame, this is the kind of movie you feel like you’ve seen even if you haven’t (as I hadn’t), the archetypes and even the catch phrases sunk into the public consciousness. Still, sometimes those movies don’t end up being good, so it was nice to see that this one holds up pretty masterfully. Swanson is amazing, having herself been a silent film star obviously adds a lot of piquancy to the thing but she just nails it generally period. Only strike against it is an over-reliance on voiceover which is totally unnecessary given the simplicity and general excellence of the every other aspect of the movie. Often the flashback lines are really good but they’re pointless, the rest of the film venting the themes more artfully. Still, fabulous. Porco Rosso – In an alternate world Adriatic, a confederation of seapilot pirates hire Charles Lindburg to face off against the eponymous bounty hunter, an irascible, anarchic humanoid pig. This movie was so goddamn fun I can’t even tell you. I’ve always been of the position that Ghibli’s enormous genius lies in the visuals and the general aesthetic, rather than the plots themselves which are kind of goofy, and the simplicity of the plot, along with the gorgeously imagined pre-WWII Europe, play to those strengths. It has that dreamlike, inexplicable quality which I tend to really love in fantasy. There is, for instance, no explanation of how our hero became a pig, nor are there any other non-human characters, nor did any of the human characters make a particular point of him being a pig. Long and short I loved it and I’m really glad I got to see it on the big screen.